Today , I want to personally share with you the groundbreaking discovery I had that transformed the relationships in my life. It is how I went from only being part of unhealthy relationships to calling in relationships that resonated with me, allowed me to be myself and feel extremely loved in the process. Do any of these sound familiar to you? Feels pretty icky, if you ask me. Let me ask you something, in your relationships are you constantly giving and not receiving anything in return or you never get the recognition you deserve? It’s normal to try to hold on to these relationships, even if you are needs aren’t met because we believe it is the only type of relationship that is available to us, so that is why in today’s article I’ve decided to share how we can move away from conditioned love, to a love that gives freedom, joy and happiness. It is ABSOLUTELY possible for you, too. If you allow yourself to believe it and live it. I explain how here. Love gives you freedom of choice. Freedom to be who you really are, it sets you free. This is a concept that was SO foreign to me growing up and it keeps growing and integrating itself to my DNA. It really liberates you. Love isn’t controlling or manipulative. You shouldn’t feel captive or like a completely different person when you are in a relationship. This goes beyond romantic relationships. The best relationships are the ones who see you for who you are and cherish you for it. Here it goes, the main reason you feel that you will loose your freedom if you fall in love or that you can’t be yourself with those you love is because there is something inside of you that really believes that. There was a moment or several when you were growing up that you felt that love was manipulative or controlling. It could be that you saw your mother lose yourself in her relationship, do everything for the family and not even receive a “thank you” for her efforts, it could also be that you thought love represented sacrifice because your family wasn’t happy or your parents would offer you “prizes” if you performed better at school. Small instances that you could be saying, Nicole, really? You are going there? YES, I am going there. See, the thing is that it isn’t about what happened but what your mind, as a child, perceived. Your parents could have had in mind to teach you something beautiful but if you felt that you couldn’t be yourself, that created a blueprint that continues to manifest in your life until you do something about it. I’ve stressed this throughout my articles, videos and audios: everything is energy. Feelings are REALLY powerful, especially when you were growing up. We all felt things pretty intensively when we were small. If you grew up and didn’t heal these perceptions , you will repeat it throughout different relationships until you reclaim your truth. The truth is that love IS freedom. Perhaps you’ve even had relationships when you have attached too soon or you have been the manipulator. Trying to control how others feel about you. It can become an awful cycle that affects you and your significant other. If you desire to stop creating relationships like this, both in the romantic plane and with those you care about the most, I invite you to reclaim your worth and power. The core belief in relationships that are unhealthy is : I am not loveable enough. Which then brings out the question: What can I do to prove how loveable I am? Practice waking up every morning saying “I am loveable exactly as I am” , repeat it as many times as you need to. Why? Because you are loveable! You don’t need to change for anyone else. When you accept this truth for yourself, you begin to accept it for others. Your relationships no longer have a feeling of control or manipulation. You let others be and others let YOU be, as well. I repeated this mantra for a month, every single day, every few hours so I could really start to grasp the concept. Don’t hold the space for conditioned love in your heart, body or energy field. Only welcome freedom in love. When you make it non negotiable, your life and relationships do a 360º transformation full of love. P.S. 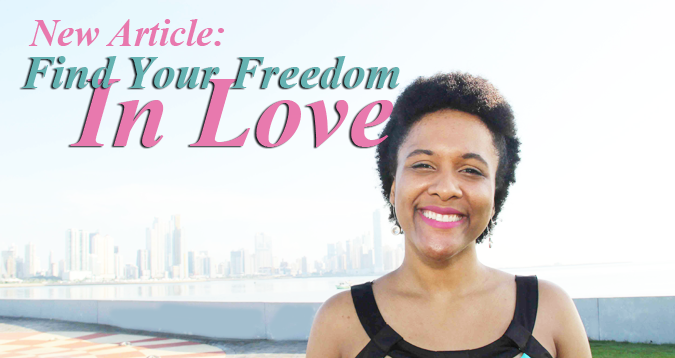 Are you ready to reclaim your worth and call in relationships that give you freedom? Let’s map out a plan specifically made for you in a free hour session to talk about your past relationships, how you desire to feel in your future ones and how we can work together, if we are a right fit. Wonderful post, Nicole! Love is indeed freedom. We put too many conditions on our relationships with loved ones and most of all on ourselves!